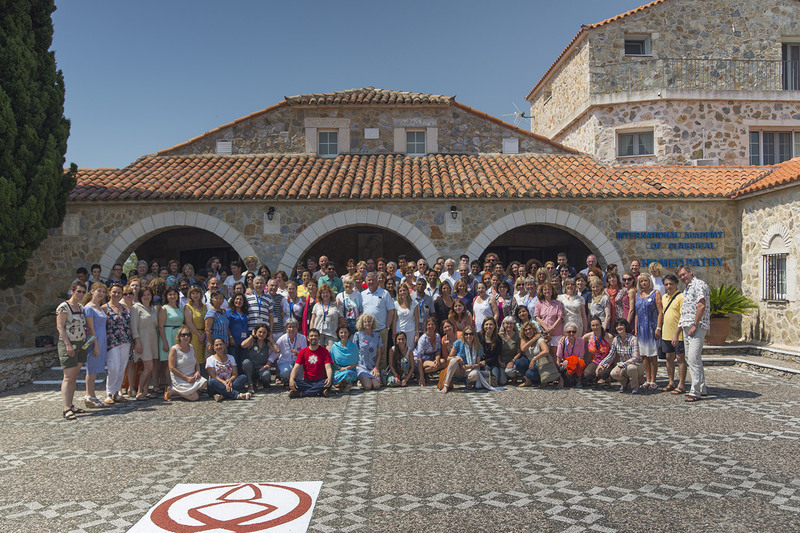 Lecture given at the end of the four year course at the International Academy of Classical Homeopathy in Alonissos, Greece. Today I am going to share with you some thoughts that have come out of my experience concerning the meaning of the homeopathic consultation and the necessity for an inner preparation of a homeopath working with Classical Homeopathy. What does it mean that an individual decides to go to a homeopath and what are the implications and the objective of such a consultation? It means that the individual is suffering and that you are willing to try to relieve his suffering. So we have a situation which has two sides, an outer side: the patient has come to you and he is sitting in your consulting room. And also an inner side: the expectation of the patient that he will get well and your expectation that you will give him health. So actually, this consultation has the necessity for a double preparation on the part of the physician, an outer and an inner preparation. The outer preparation started when you went to a school, you learned a certain therapeutic method and then you felt confident to open a clinic or a practice. You furnished it well with the best possible furniture trying to create a nice atmosphere so that the patients could feel comfortable, and to make them believe you are a very important person for having a big “throne” in which you will be sitting, and this can impress the patients. These are important and necessary things, but to what extend do they really matter in the phenomenon of healing? It matters of course how much study you have done, how much dedication you put in, in order to meet the challenge that is actually so beyond the human capacity, and you can say: “ it does not matter how much preparation I may have… still I may fail “. But where is the homeopath who can say that he is thoroughly prepared to meet the great challenge: to cure every case that comes to his office? For all those who know how difficult it is to find the indicated remedy, this objective is something much beyond than simply the intellectual capacity of any physician. Even with the best preparation still you may fail. So on the one hand you have to face a very difficult task, on the other hand you were able to deliver some cures where nobody else could do it so far for the patients. That fame is why the new patient is in front of you. This fact has a lot of implications for the inner state (mental, emotional and spiritual) of the homeopath. Since the finding of the correct remedy is a difficult process and one that contains a high degree of uncertainty, several questions are raised, for instance: can you promise to the patient that you will cure him? Can you be certain that the remedy you have chosen is the correct one? Are you going to confess to the patient your uncertainty or the vulnerability of the system you are practicing? You realize soon, once you start practicing, that what you are requested to accomplish is not only bordering to the impossible but has a high degree of uncertainty, with several parameters attached to it (medical, social, legal, ethical and philosophical). What should then be the right frame of mind and feelings of a physician or student who wants to undertake such a difficult task: to bring about cures on a regular basis, which borders almost on the miraculous? What should be his inner preparation in order to take up such a colossal task without risking his mental balance, without getting drunk with the glory of success and without falling into the abyss of despair by his failure? The serious homeopath is prepared to meet real challenging cases with severe pathology and deep suffering, not only simple common colds and bruises. Eventually people will come to you to be relieved of their deep and distressing chronic ailments. I am sure many of you will reach this state of fame. So the more famous you become, the more difficult the cases will come to you to be treated; actually, these will be cases which have been given up entirely by all other therapies, physicians and practitioners. So you can imagine the expectations of such a patient. He has gone in vain from one doctor to another and eventually has found out that Dr. So and So is the best. You realize the expectations of the patients that they need a promising word on the first consultation, they need to hear that you can cure them irrespective of their deep pathology. So, if you are the famous Dr. So and So how would you feel? It is a very challenging situation if you look at it from an ethical point of view. On the one hand you know that it is highly difficult the finding of the right remedy, on the other hand you have accomplished some exceptional cures that brought you the fame and also this last patient. That is why your own inner preparation is of the greatest importance in order to meet this inner challenge. Do you feel: ” I am the greatest and I am going to cure everybody "? If you do, then prepare for a big unpleasant surprise. Do you feel insecure and in order not to loose your patients you promise to every one the impossible? Do you feel that is not your responsibility the outcome and you are totally detached? Can you tell the whole truth every time to every body? How uncertain it is whether you can help them? Are you going to encourage them to continue when they are in distress or in an aggravation period? Are you going to keep calm when things look dangerous for the patient? Are you going to get rid of every patient that looks even a little bit dangerous? All of these questions need to have an answer and also need an inner strength and an all around preparation of a high order on the part of the homeopath in order to face and answer them correctly. It does not matter what you show outwardly, the outside preparation is different and definitely much easier to deceive. You can decide that you want to look wise or exceptional and you dress accordingly, and also you can take an air of superiority. You may like to show off to the patient. All this is really irrelevant in connection with your objective which is to cure the patient. What really matters is your inner preparation. You can bluff nobody on your inner preparation. I can tell you that if you have prepared well interiorly you can be in a little room which is just big enough to have two chairs, but the atmosphere of this little room is so filled with warmth and love that gives confidence to the patient. Do you think that if you have a large, impressive room will give confidence to people? You are wrong, what will give confidence to the patients is your inner preparation. What I mean by the inner preparation is simply this: an inner process that has led you to the realization that you must stay detached from all your successes, even if people around you say that you are the greatest. This is the great secret. I am not talking today about your outer preparation that should have included a lot of study, especially great enthusiasm in order to overcome all the difficulties that will come in your way, and constant one pointedness that drives you all the time to learn with a relentless gathering of information. But if the desire to help the other persons is missing - if you do not really care what happens to your patient, and you cover up some symptoms in a superficial way, muddle the case, or pretend that you have done something special for this patient while you know you accomplished nothing– you can forget about steady success in Classical Homeopathy. For a brief period of time you could be successful, but then you will become very tired of yourself, tired of thinking and analyzing every case, tired of listening to patients. But if you really have the right preparation with enthusiasm and real desire to heal them, it is a great experience to see them come back and say they are not suffering any more. It is something almost bordering to the miraculous, it is beautiful and every healer is filled with energy and satisfaction when he gets this feedback. But here lies the most dangerous trap: If you have such a good feedback and admiration from the patients and you start thinking of yourself for a moment as been an accomplished homeopath or that you are very good, or the best, or any of this things attributing the success to yourself and your own abilities, then you are in for trouble. You should never believe that the things you see happening as a kind of miraculous cures are because of you. Give the correct prescription and forget immediately the good effect that was reported to you. Concentrate only analyzing your failures, because you have to remember that on the next case you may fail ! And then you will become depressed and disappointed. Why? Because you had a great idea about yourself, about your knowledge and ability, and you thought that what you succeeded in doing the day before you can do it every day. This does not happen in Homeopathy, Homeopathy demands from the individual to be very much aware of what is going on in his interior all the time, even a thought of “ I have made it ”, attributing the success to yourself…. Stop, be careful ! or the next challenge will be disaster. If your inner preparation does not succeed in reducing your inflated ego, if your preparation has not brought you to the state of being in awe in front of this amazing phenomenon of healing, you are going to regret it soon. You will soon start loosing the information and the ability to cure most of your cases. In conclusion let me say that the desire to heal and the enthusiasm to learn should be there all the time. The idea that “ I’am prepared enough and can do it every time ” and “ I’am doing it…” should be totally eliminated from your mind. The homeopath who feels: “ Now I know enough “ automatically starts loosing the knowledge. It is like an internal flame that was there before but now with this egotistic attitude the flame starts fading away. Once the idea enters your mind that because you become famous now you can relax and sit back then you will start loosing the information. The homeopath who felt “ now I’am good ” starts going down the gutter. There is a time when you will feel “ now I’am secure " with your knowledge, and that is the time when you start loosing it and your fall starts as a healer, as a homeopathic healer. There are a lot of homeopaths to whom this has happened, but they do not know it, despite the fact that they had the flame in the beginning and were successful prescribers, but later on became only mediocre doctors and...bad teachers of course. As a result of this state, they are searching "easy ways" that lead both, teacher and students to delusions. I do not suggest that you show your emotions externally sympathizing or your involvement with the patient, on the contrary, if you do it will be a mistake. But if you have real interest in curing your patient he will perceive it immediately and that will be enough to spark his confidence to you in spite of your inner uncertainty. This success has happened because you were given the information and the ability to do it and you have applied yourself, studied and learned the science properly, so that with one little pill you have changed the life of the patient. But because of its dimensions and implications, this phenomenon has to be understood and handled properly by the doctor in order to avoid exploitation by over charging patients, if not and once your conscience becomes blind… forget about finding the remedy. You cannot really have success if you see patients as people that are going to give so much money. The homeopathic interview is a crucial meeting point and a very important one in the life not only of the patient but also of the physician. It is almost like a love affair, a meeting of two beings at the right time at the right place for the right purpose: to bring out the real "good" which is in both. If you have the desire to cure your patient then the spark will become a flame burning the disease and bring about that which is miraculous, but at the same time will give you a deep satisfaction that you dedicated your life in studying something worthwhile and at the end you will feel like Hahnemann: “ Non Inutilis Vixi- I have not lived in vain ”. Forget about hugging and comforting the patient and telling her how nice she is and how much you love her/ him, and all the rest niceties. This does not work, this is only for augmenting the placebo effect, but will never bring about the miracle of a real deep cure. You can say kind words when you feel to a person who is suffering from real distress, but at the same time you should stay detached from the person itself. You are attached to the idea of helping him/her but not of the person. Because at the moment that you get attached to the person you will have as a result not seeing clearly that what is really happening with the patient. Therefore, a homeopath should on top of everything else be a master of his own feelings. Also, you must remember that when the patient comes back and praises you to the limits you should not listen and enjoy the admiration and compliments from the patient because your ego will start inflating and your knowledge and wisdom will start declining, you have to remain detached from this comments. If you can maintain this attitude then the phenomenon of healing will continue happening. You will be lost if you get involved with the situation of the patient. Your job is to bring about the phenomenon of healing, here is where your energy must be located and if you get involved with the suffering of the patient, you cannot do it any more, you are paralyzed, you cannot see the case objectively. You can think to yourself “ I want to cure him ”, or “ I would like to cure him…”, but never say it, don’t you ever say it not even to yourself ! This is a state of mind and not only something that can emerge by logic. The more you want to cure inwardly … the more your success. I am sure most of you know how difficult it is to cure a person who will not give you all the information or will give you partial information because they think the details are not important or of no concern to you. They may suffer with a duodenal ulcer but will not reveal that they are extremely angry or even violent. Then it becomes very difficult or impossible to cure such a person. Another patient comes and opens up and gives you all the information you need. What is the difference in their inner state? In the second case the patient is admitting with honesty that he has all these problems or weaknesses and confesses them with ease, his ego has been put aside. The homeopath then has the capacity to relieve a person who has given all the necessary information. The patient when he first comes for a consultation will not know exactly what to do, but by the interest and attention you display will prove to him that it is for his own benefit to bring out what is happening on his mental and emotional levels as well (to describe all his fears, anxieties, anger, depression etc.) and then you are able to come to a conclusion for the right remedy. What is the meaning of a homeopathic consultation? Is the beginning of cleaning or detoxification from the inside and then when the patient brings out what is inside him, when he reveals the dark side of him that bothers him and causes suffering, you are able to find the correct remedy and then the miracle takes place. It is a blessed synchronicity, no less important than life itself.